One of the most important functions of a dryer is the elimination of moisture recovered during the heating of damp clothing. This moisture is held in the warm air produced by the dryer as humidity and is normally expelled to the outdoors through the dryer’s vent. If this air cannot be adequately removed, poor drying will result. Don’t Let Your Dryer Start a Fire. Keep Your Home Safe and Sound! There are 15,000 fires caused every year by dryer vents. If it takes more than one cycle to dry, you need to clean your dryer vent. Dryer vents clogged with lint cost $18 to $24 more per month. Dryer ducts with lots of dirt and dust accumulated inside not only look disgusting but can0 cause a serious fire hazard too. One of the major causes of household fires is lint-filled, dusty dryer ductwork. Even if it doesn’t damage your home, a dirty dryer duct will definitely waste a lot of your money, time, and energy. Also, a dryer duct that is filled with debris and lint will not perform at its best. A professional with great experience can help you with residential or commercial dryer vent cleaning. If you’re experiencing faulty functioning of your dryer, the dryer itself is not the cause. More often than not, it’s just clogged ductwork that requires cleaning. Ignoring your dryer ducts can cause huge problems. 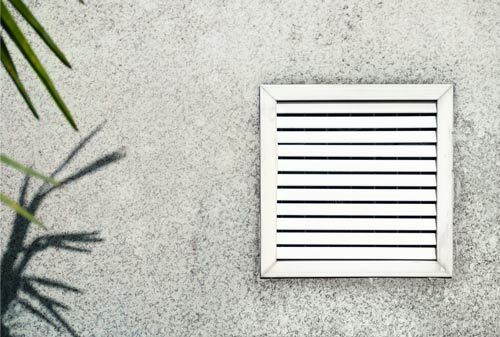 Many statistics have found that the majority of household fire breakouts are caused from clogged vents. In these cases, an excessive build-up of heat can cause explosion. Besides fire hazards, there are several other reasons why you’d need a professional to help to clean your vents regularly. To learn more about our duct cleaning from cause to solution, continue reading or call one of our skilled technicians today at 805-499-0448! What Causes A Vent To Get Clogged? As you know, dryers are used while doing laundry. When drying clothes, lint gets accumulated in the system which causes the vent of your dryer to get clogged in the long run. In turn, this dryer vent clog results in blockage for the entire system. If your vent runs long, the probability of clogs remains higher than for shorter vents. This is because the lint has to travel a longer distance if the vent pipe is longer. Even when vents or pipes have curves and turns, lint is likely to collect and build-up over time. Believe it or not, dirt and debris from your clothes get stuck to the wall of these pipes. As lint, dust, and dirt accumulate, they can cause a clog if ignored. The dryer vent pipe is one of the most forgotten vents in the house, as it either runs outside the outer wall or over the roof. According to the statistics provided by the United States Consumer Product Safety Commission, about 1,998 dryer appliances were associated with approximately 15,600 fire cases. All of these fires resulted in 370 injuries and nearly 20 deaths. Be aware that fires can occur when there is a huge lint build-up in the vent duct. With so much accumulation of lint and dust, the heat build-up can reach excessive temperatures that often result in fire breakouts. One of the main signs that will indicate your dryer vent needs attention is drying time itself. You must know how much time your dryer generally takes to complete a full cycle or load of laundry. When lint and dirt get accumulated in the duct, it will take longer for your clothes to dry. If drying time becomes noticeably longer, it could be time for your vents to be cleaned and serviced. When your dryer is working, touch it once. Is it too hot to touch? This could indicate that your appliance is overheating. When the vent of your dryer is not clean, it utilizes more energy to perform a cycle or load. This in turn increases the heat inside the dryer. So, when you touch the dryer, it will feel hot. Even though a dryer is an electrical appliance that generates heat, it should never run hot enough to potentially burn bystanders. This means your dryer vent requires immediate cleaning. Another subtle sign that your dryer vent requires attention is if you notice a musty odor coming from your clothes after drying them. If this happens regularly after completing your laundry, then it is a sign that your vents are dirty and need immediate cleaning. This will eliminate the musty smell and provide you with fresh, dry clothes again. Do you see a drastic increase in your energy bill? It can be due to dirt, dust, and lint that are accumulated in the vents of your dryer vent pipe. Due to excessive debris in the vents, the dryer cannot work properly. In this case, your appliance has to consume more energy to produce the same amount of heat. This can easily be resolved by contacting a professional service to clean your dryer vents. A dryer cannot work properly if the vent pipe is completely clogged. If a dryer fails to exhaust air properly, then it will not be able to dry clothes at its peak performance. Once the pipe is cleaned by a professional, the efficiency of the dryer will increase. This will result into overall better functionality and operation. As previously mentioned, when a dryer vent is completely blocked or clogged, a dryer will not be able to exhaust air properly. This will result into longer drying times since is not circulating heat as efficiently. Hence, more energy will be consumed by the dryer to complete the work. By keeping the vent completely clean, it will be much easier for the dryer to complete a load or cycle–consuming less energy and helping you save money on energy bills. There are many documented cases of fire breakouts caused by dryer vents. This happens when there is excessive heat from the dryer failing to exhaust the air properly. The dryer tends to use more energy which increases the heat and potential for fire hazards. Thus, cleaning your vents has the capacity to increase the overall safety of your home. Cleaning your dryer vents regularly will help your appliance work in top-notch condition, drying clothes completely after a normal drying cycle. Otherwise, your clothes won’t dry properly and they might even have a musty or some unpleasant smell even after you finish laundering them. These are the reasons why you must hire a professional cleaning service for your dryer vents. Even as recommended by the U.S Fire Administration, every residential dryer vent pipe must be cleaned at least once every year. With annual service, excessive debris will not build up within the ventilation pipe. For homes that use their dryers more than twice a week, it’s recommended that dryer vents are serviced every six months. First, we inspect the vents of your dryer. This helps us get an accurate idea of the amount of dirt, lint and dust that has accumulated in the vent. After the inspection, we use the most advanced and unique tools for removing lint, debris, and dusts from the duct. This may take several minutes depending on the amount of debris and the the size or length of the vent pipe. When cleaning is completed, we test and retest the dryer ducts to ensure that it’s completely safe. This is carried out by our team of hi-tech professionals who have the knowledge and skills to determine whether or not the pipe is completely free of debris and risk. After the entire process, we will clean up the surrounding areas that are affected due to the dryer vent service. Once everything is finished, you’re dryer is ready to start running again. Immediately, you’ll notice a huge change in the dryer’s functioning after its vents have been cleaned. You can even test the dryer’s cycle in front of us if you’d like to crosscheck the cleaning process. This is another frequently asked question. The time it takes to service your dryer vents depends on several factors. Though the typical amount of time taken to clean the vent system of your home dryer may range between one to two hours, it can also take additional hours. There are several conditions that play a crucial role in the total amount of time it takes to clean your dryer vents. First off, the main factor is the length of the vent pipe. Often, the vent pipes of some houses are too long to be cleaned within one hour or two hours. Proper cleaning of a long pipe can take additional time. Our professionals are committed to providing quality dryer vent cleaning services. Hence, we do not work in haste. Even if the process takes a longer time, we have the patience to work properly to ensure the very best solution for your dryer system. The second factor that also plays a crucial role in the amount of time we may need to clean the vent pipe of your dryer is the accumulation of debris. Of course, if you have a huge build-up of debris, lint, and dust in the vent pipe of the dryer, then it will take a longer time for us to clean the pipe. When Should I Clean My Dryer Vents? The answer to this question may vary from one homeowner to another. If you are experiencing any of the signs above that indicate your dryer is not working properly, then you must call a dryer vent cleaning expert as soon as possible. However, these signs are generally noticed when it is too late, so don’t wait too long after noticing an issue with your dryer. If you have a family with children and do laundry quite frequently, then you must also use the dryer a lot. In that case, you will need much more frequent dryer vent service than a family without a kid or children. Still, no matter the size of your household, it’s always recommended to clean the vents of your dryer once every year. This is quite important to ensure that clothes are properly cleaned without any smell while also saving you money on energy bills. Most importantly, it will help prevent any dangerous fire breakouts in extreme cases. Whenever you notice that the dryer is taking a bit longer than usual to dry your clothes or the machine is getting hot to the touch, it is time to call an HVAC professional for dryer vent servicing. Why Choose Conejo Valley Heating & Air For Dryer Vent Cleaning? One of the most important features of our service is our 24/7 availability. Our staff remains ready around the clock to attend to your dryer vents and other HVAC needs. Regardless of what time you need our help, you can call us. 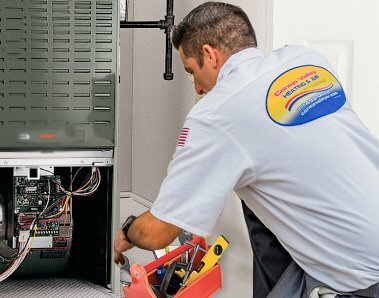 Our professionals are always prepared to help you in case of any HVAC-related emergencies. We understand that things often go wrong at the wee hours of the morning yet need immediate attention to ensure safety and efficiency in your home or building. 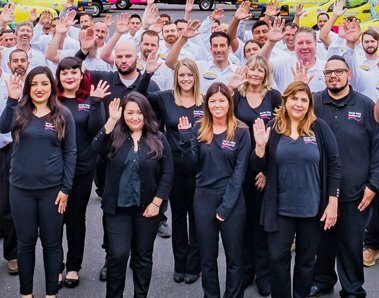 At Conejo Valley Heating & Air Conditioning, quality service is always just a phone call away! If you’re worried about the overall cost of dryer vent cleaning, rest assured that our team of professionals never charge by the hour. In fact, we charge by the job done. We offer the most affordable and competitive rate for dryer vent cleaning throughout Southern California–without sacrificing quality. 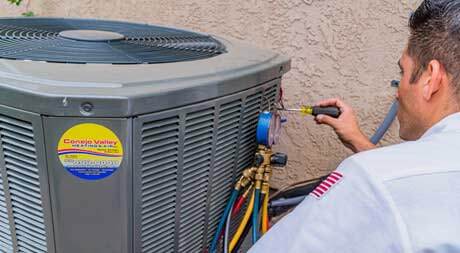 We don’t have any hidden cost when it comes to HVAC services and pricing. When our professional technicians asses your dryer vents, they will evaluate the cost and let you know pricing up front. Keep in mind that the cost of a job depends on the size of the vent pipe as well as the amount of cleaning it requires. The price has nothing to do with the total hours spent on the job. 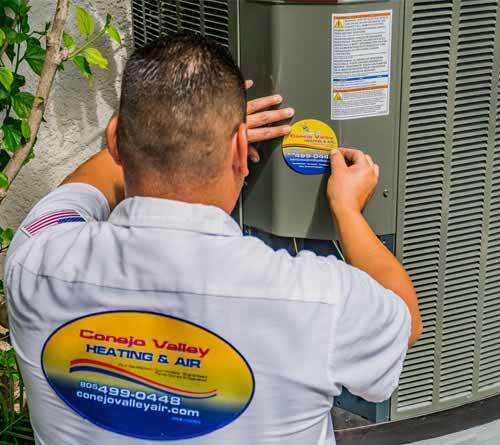 At Conejo Valley Heating & Air Conditioning, we stay committed to the latest trends and technology in HVAC maintenance and repair. We know that innovative technologies and hi-tech equipment will provide efficient, quality service that you can count on. With the help of these advanced technologies, we are able to clean the vents of your dryer quickly and accurately. We use advanced tools to detect the dust, debris, and lint in your dryer vent, so we can eliminate all particles that contribute to a clog. Each and every member of the team is trained and experienced at using the equipment and tools needed for dryer vent cleaning, and we invest in ongoing training for staff to remain savvy and certified with new trends and techniques. Our team of dedicated technicians are committed to handling each and every project like a professional. We not only focus on professionalism, but also promised to deliver friendly customer service. We help keep your dryer vents clean, which in turn helps you save money on utilities, stay energy efficient, and consistently receive superdry clothes after finishing a load of laundry. Dryer vent cleaning also helps reduce the risk of fire hazard in your home. Our HVAC professionals always ensure that your home is safe after completing a job and before leaving the premises. For this, we test and retest the drying process to ensure the utmost in safety and efficiency. Our professionals not only help you clean dryer vents, but can also repair faulty ones. With the expertise of our quality technicians, you can actually repair dryer vents that have been damaged due to excessive heat, dust, or debris. Our team will ensure that your dryer vent is repaired quickly and efficiently–all you have to do is call us and schedule an appointment. We also help new dryer vent pipes in the event one is beyond repair. Oftentimes, a dryer will fail to work if there is a leakage in the pipe. In this case, you’ll need to replace your entire dryer vent. At Conejo Valley Heating & Air, we believe in prompt service, so your dryer is back in working order as soon as possible. 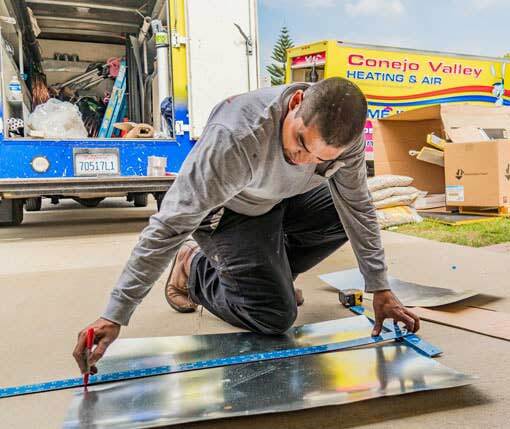 When it comes to cleaning your dryer vents as well as other HVAC maintenance and repair issues, Conejo Valley Heating & Air Conditioning prides itself on quality, long-term solutions. We remain focused on a job well done the first time around, so you don’t need to call us back or get a second opinion. Your vents are our business. For high-quality dryer vent cleaning, air duct cleaning and other HVAC services, contact our Conejo Valley specialists at (805) 499-0448 to get a free quote or schedule an on-site technician!